In the late eighties/early nineties, video arcades were having a bit of a renaissance. Games were getting prettier, chips to make the games were getting cheaper, and a generation of new game makers, who had grown up with video games, were starting to enter the business and they were making some really cool stuff. The rapid growth of malls helped with the arcade business, too. Any person on a shopping trip could just throw a few dollars to the kid while they went to buy whatever adults buy at the mall. (Crap made of wicker from Pier One?) That coupled with a surge in popularity in video games in general meant that there was money to be made for those brave souls who took part in the whole thing. SNK was such a company and had been around the scene for a little while. They made some console and arcade games and were doing fairly well but they wanted more. They wanted to be the kings of the industry. For that, they needed something. They needed a gimmick. Eventually they found it in the form of the MVS (Multi Video System) arcade machine, which, after some tweaking, became a colossal business failure called the AES, or Advanced Entertainment System. I don’t know if anybody “fondly” remembers or loves the Neo Geo AES. 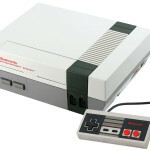 Despite it being the most powerful console which had ever been released, it never made a mark on the industry. But that’s the AES, and I can’t tell you that story without telling the story of the MVS, which WAS loved, and WAS fondly remembered. The problem with arcade machines is that they’re fairly expensive to buy, and arcade owners had to believe that their investment would pay off. Once an arcade game was purchased, its new owner was in for the long haul. Enter the SNK company and a brand new idea about how to market games. Instead of a new arcade cabinet for each new game that came out, SNK would sell you one cabinet with the ability to switch out games, just like the home consoles. If you had a machine, and nobody liked a particular game, you could simply call up SNK, and they would sell you a new game for a couple hundred bucks, using the same cabinet. This was especially helpful to businesses like pizza places or laundromats, where space is pretty limited. Additionally, a new cartridge was a lot cheaper to ship. There’s what we all know and love! Another big selling point was that the arcade cabinets could hold up to six games and switch between them without having to do anything to the physical cabinet. When customers put their money in, they could choose which game they wanted to play, right there on the screen. It was quite popular, and while most of the games were clones of other popular arcade hits, it didn’t seem to matter. SNK was bringing in the money, and yet…it still wasn’t Nintendo money. For that, SNK felt that they needed to release a home console. They decided that since they had already designed a game system, they could just put the guts inside of a plastic box and call it a day. Once that decision was made, everything went to hell pretty fast. Pictured. What Going to Hell Pretty Fast, might look like. Secondly, SNK’s business model was heavily dependent on what was already in arcades. Fighting games were popular so they had a bunch of those. There were some platformers, and some shoot ‘em ups, etc. but that was it. Those types of games work great in the arcade, but the brilliance of the Genesis and SNES was the sheer number of different ways you could play, and while the graphics weren’t anywhere close to the Neo Geo, Genesis and SNES games were designed specifically for home use. Which could allow for a longer and fuller gaming experience. Finally, and this is key, Neo Geo’s game library was abysmally small. Look how cute and tiny this library is! All together, it was another classic tale of a company expanding WAY too much, way before they were ready, and at the exact wrong time. 10. Windjammers. 1994. (Data East) Starting out the top ten we have a sort of updated version of Pong. Two players chose a character with various skill sets and threw a Frisbee at the other player’s goal while simultaneous blocking the other player from scoring on their own goal. There were different places to play and each of the characters had different special ways they could toss the disk. The game was not well received when it came out, but in recent years has had something of a comeback. The graphics are cartoony and fun, and game play is simple enough for anyone to grasp. It’s hard to go wrong with a good pong clone, and Windjammers did alright. Released as a pack in games for the AES, and having appeared in arcades the year previous, was Magician Lord, a game which reminded a lot of people of Ghouls N’ Ghosts. You play as Elta, a magician who wants to save his homeland from an evil wizard named Gal Agiese. Gal needs eight tomes to resurrect an evil god, and it’s your job to get to those tomes first. Each tome is at the end of a level and you had to jump and magic your way through endless enemies to find them. While it didn’t do well in Japan, it was very well liked in North America and has been re released on virtual consoles a ton. It’s a solid and fairly classic platformer and worth the current asking price if you like this style of games. Coming in at number 8 is a fantastic game and one of my favorite baseball games growing up. (At the time it was released, a version was also released for the NES which was kind of garbage in comparison.) It’s standard baseball fare. There were 18 teams across two leagues, and two different difficulty settings. Compared to a lot of other baseball games of the time, Baseball Stars 2 offered you the ability to change out pitchers and batters, choose batting stances, shift players around the field, and a whole host of stuff featured in real baseball games. The graphics and sound were great, and the gameplay was super fast and fun. This is your standard top down view, airplane, Shoot-Em-Up, with some upgrades to its predecessor Strikers 1945 II. You can choose one of six World War 2 era planes which have slightly different play styles, and do standard Shmup things like grab power ups and weapons upgrades. You could choose any one of four levels (or paths) to begin the game, and you’d blow up everything on-screen, until you saw the boss characters. And then you’d blow them up as well. It was fast and frenetic, like most shmups, and although it was released fairly late into the life of the AES, it was well received. Another game released late into the life of the console, The Last Blade was a 2D weapons-based fighting game which featured a style which was very similar to games in SNK’s Samurai Shodown series. This was heavy into what I call SNK’s “Combos are the best” period. Unique to the game was being able to choose either a speed style or a power style of play. There were also a lot of power ups and super moves, including super deflections, all of which would fill the screen with colorful explosions and people screaming out in pain as they were pummeled into submission. Released in 1997 to virtually zero fanfare, Shock Troopers is a top down view “run and gun” shooter where you have to go blow up some terrorists who have kidnapped a scientist and his granddaughter. (Because Neo Geo stuck with stories which were tried and tested.) In a story which nobody saw happening, Saurus released the game again on virtual consoles and it kind of blew up. It’s a very well made game for what it is, and was re-released at a time where we have a bit of dearth in that area. Fight through six chaotic stages, kill six bosses, and steal as many guns as you can find on the bodies of your enemies. Who could ask for more? Ah, Metal Slug. While fighting games were always the most popular games on the Neo Geo, the Metal Slug series was almost always around in one form or another. A ton of enemies have done something bad, and it’s up to a colorful cast of characters to kill them all, either with their own hands, numerous weapons, or in one of the titular Metal Slug tanks, which were surprisingly cute, all things considered. As each Metal Slug came out, SNK would add more and more elements, and MS3, had everything. Jet packs, fighting elephants, and you could even turn into a zombie. This was a lot of fun and oft been celebrated as the best of the series. It was a great and weird little game. Starting out the top 3, we have the fifth game in the King of Fighters series. Although, it was given its own release, it wasn’t a sequel as much as it was just some tweaks and fixes to King of Fighters ’97. There were a couple of rule changes and bugs fixed, etc. That said, King of Fighters ’97 was great. So fixing the few little issues and balancing the game a bit more, made King of Fighters ’98 one hell of a fighting game. All of the characters are the same as ’97, and you make a team of three people to take on and whoop your opponent. There’s no real story, and truthfully, the game doesn’t need one. Part of the Fatal Fury series, and I guess the eighth cannon game, Garou takes place ten years after the events of the previous game. Things have been peaceful, but boring so someone announces that a new fighting tournament called the “King of Fighters” tournament…which…damnit SNK. Have more ideas…In any case, the usual crew of Fatal Fury characters is back for more crazy combos and silly fighting action. It really is a great fighting game, and had enough of a cult following that SNK announced they would be making a sequel in 2016. After the success of the first Samurai Shodown, SNK realized they had a real hit on their hands. Rather than just tweak a few things, they decided to rebuild the game from the ground up, using all of the characters from the first game, and keeping a lot of the humor and light heartedness. SNK’s work paid off, and it became one of the highest reviewed games on the system. Numerous publications have put it on their lists of the best games of all time. Behind the scenes, SNK was in a blood war with Capcom to try to be the kings of the arcade fighting world. Shodown II was a huge step in the right direction for SNK. Not only were the characters more outlandish and fun than the Capcom counterparts, but the game was remarkably fluid and fast and remains to this day, a very popular fighter. So that’s the Neo Geo, everyone! Wondering where some rando game you played in 1996 ended up? Hit me up @Whentheicebreak on Twitter, or say something in the comments. And remember. The world outside is bright and sunny and full of terrors. Avoid it and play video games instead! As has been the case with certain other sytems we’ve looked at, the Neo Geo sales numbers are not readily or publically available. So the TMTT simply aggregated a number of existing top game lists and weighted positions based on frequency on lists, list position, etc. I then applied the review and user scores as per usual.